Co-author with Allan Kanner, Communications Between Attorneys and Putative Class Members, in Attorney-Client Privilege in Civil Litigation: Protecting and Defending Confidentiality (American Bar Association, 6th ed., 2016). Co-author with Allan Kanner, Legal Strategy, Storytelling and Complex Litigation, American Journal of Trial Advocacy, Cumberland School of Law (2006). Co-author with Allan Kanner, Arguing the Toxic Tort Case: Some Thoughts on the Process (Louisiana Trial Lawyers Association 2006). Author, The “Blind Look” Rule of Reason: Federal Courts’ Peculiar Treatment of NCAA Amateurism Rules, 15 Marq. Sports L. Rev. 331 (2005). Co-author with Allan Kanner, Exploding the Blackmail Myth: A New Perspective on Class Action Settlements, 57 Baylor L. Rev. 681 (2005). Co-author with Allan Kanner, Measuring Loss of Use Damages in Natural Resource Damage Actions, 30 Colum. J. Envtl. L. 417 (2005). Author, The Fall of the False Dichotomy: The Effect of Desert Palace v. Costa on Summary Judgment in Title VII Discrimination Cases, 46 S. Tex. L. Rev. 137 (2004). Co-author with Allan Kanner, Crocodile Tears: Polluters’ Concerns About Contingency Fees in NRD Cases, ABA Environmental Litigation Committee Newsletter, Vol. 6 (November 2004). We hired Tibor the week before trial started in a bet-the-company case. Opposing counsel had been on the case for 5 years, but by the time trial started, it was clear that nobody knew the facts better—or spoke more convincingly to the judge and jury—than Tibor. The jury deliberated for less than an hour and came back unanimously in our favor. Tibor “T” Nagy is a trial lawyer who represents plaintiffs and defendants in high-stakes litigation in state and federal courts throughout the United States. Tibor has been lead counsel in bet-the-company cases ranging from patent infringement disputes to complex class actions. Tibor regularly represents Fortune 500 companies, hedge funds, individual business owners, executives, inventors, patent owners, artists, and art galleries. Tibor also is hired by other lawyers when they need representation. 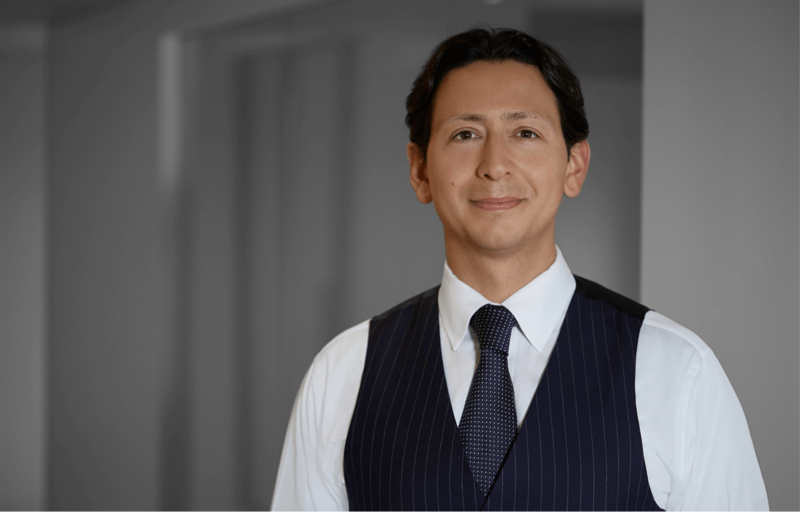 Tibor typically represents clients, whether plaintiffs or defendants, on an alternative fee basis, so that most or all of his fee is based on success rather than hours. Tibor does not specialize by subject area, but rather handles all types of complex civil litigation, including both trials and appeals. Clients often hire Tibor shortly before trial to take over and try their cases if and when they actually proceed to trial. Tibor is a graduate of the Yale Law School and Dartmouth College. Tibor was previously a partner at Susman Godfrey LLP. Tibor is licensed to practice in New York, New Jersey, and Texas, and is admitted in federal district and appellate courts throughout the United States. In 2017, Tibor was named to Benchmark Litigation’s “Under 40 Hot List,” and was also named an “Elite Boutique Trailblazer” by the National Law Journal. In 2018, Tibor represented one of the largest brokerage firms in the world in a week-long trial in Florida, in a case in which the plaintiff asserted claims for fraud. At the conclusion of the trial, the three arbitrators unanimously rendered an award in favor of Tibor’s client, and they further granted Tibor’s request that the plaintiff be ordered to pay his client’s attorneys’ fees and costs. In 2017, Tibor was hired by one of the largest investment banks in the world three months before trial in an eight-year-old, multi-billion-dollar dispute in New York state court. Tibor did the opening statement, cross-examined all of the witnesses presented by the other side, and presented his client’s key witness. The case settled two weeks into the four-week trial. In 2016, Tibor represented a world-famous artist in a tortious interference dispute. The case was tried in a three-week bench trial in federal court in Chicago. The court entered a verdict in favor of the artist two weeks after Tibor’s closing argument. In 2016, Tibor represented a large investment bank and a former employee of the bank in a breach of contract dispute which was tried before a FINRA arbitration panel. The panel entered a verdict in favor of Tibor’s clients. Tibor also obtained the extraordinary remedy of convincing the FINRA panel to expunge any reference to the plaintiff’s allegations from the former employee’s FINRA record. In 2016, Tibor was hired by one of the largest insurance companies in the United States several months before trial in New York state court. Tibor developed a new theory of his client’s case and retained a new expert witness. The case settled shortly before trial commenced. In 2015, Tibor was hired by two prominent art gallery owners to argue an appeal in a multimillion-dollar dispute involving a Rothko. After oral argument, the federal appellate court unanimously reversed the trial court and ordered that judgment be entered in favor of Tibor’s clients. In 2015, Tibor represented one of the largest law firms in the world in a malicious prosecution action filed by Facebook, Inc. and Mark Zuckerberg. After the trial court denied his client’s motion to dismiss, Tibor filed an emergency motion with the appellate court and succeeded in obtaining a stay of all discovery pending resolution of his client’s interlocutory appeal. In December 2015, the appellate court unanimously reversed the trial court and ordered that judgment be entered in favor of Tibor’s client. In 2015, Tibor represented a hedge fund in a multimillion-dollar dispute with another large investor in a RMBS trust. The case was filed in California state court by the trustee. After a hearing held by the trial court, the court entered judgment in favor of Tibor’s client. Tibor represented a large investment bank in a patent infringement lawsuit filed by Intellectual Ventures (“IV”), the largest patent owner in the world. Tibor was hired to defend against four patents IV was asserting. In 2015, Tibor obtained an order invalidating three of the four patents. Later that year, after Tibor’s client filed a motion for sanctions, IV voluntarily dismissed its claims on the fourth patent. Tibor represented the first plaintiff to file suit against Knoedler Gallery and its former director Ann Freedman. Tibor’s client sued Knoedler and Freedman for fraud, leading to numerous other fraud suits against Knoedler and Freedman. After the trial court denied Knoedler’s and Freedman’s motions to dismiss, Tibor took the first deposition in the Knoedler litigations. Knoedler and Freedman settled with Tibor’s client shortly thereafter. Tibor was hired one week before trial in a $108 million class action brought against his client in New York state court. After a three-week jury trial, the jury unanimously found in favor of Tibor’s client. Tibor represented one of the largest art galleries in the world in a lawsuit filed by Ronald Perelman. After the trial court granted-in-part and denied-in-part a motion to dismiss filed by Tibor’s client, Tibor filed an interlocutory appeal. Shortly after Tibor’s oral argument, the appellate court unanimously reversed the trial court, and ordered that judgment be entered in favor of Tibor’s client. Tibor represented a prominent hedge fund in a multi-billion-dollar RICO case. Tibor successfully argued the motion for summary judgment, and then subsequently successfully argued the appeal. Tibor represented an individual inventor in patent infringement litigation against IBM. Following the Markman hearing, the court construed all of the disputed terms in favor of Tibor’s clients. The case settled shortly thereafter.